Happy news, folks - you can buy a home rotisserie from eBay for £59.95 (€69.51). Are you buying it yet? Are you? 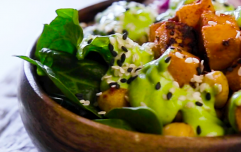 If you're someone who lives for a kebab, this is an invention sure to change your life. You can cook kebabs... in bed. You can home half cut, flick your rotisserie on and watch it, the warm glow of the meat, turn and turn and turn. You can watch it like the cavemen stared at the flames for the first time. You can watch it spin like the astronauts above the earth. 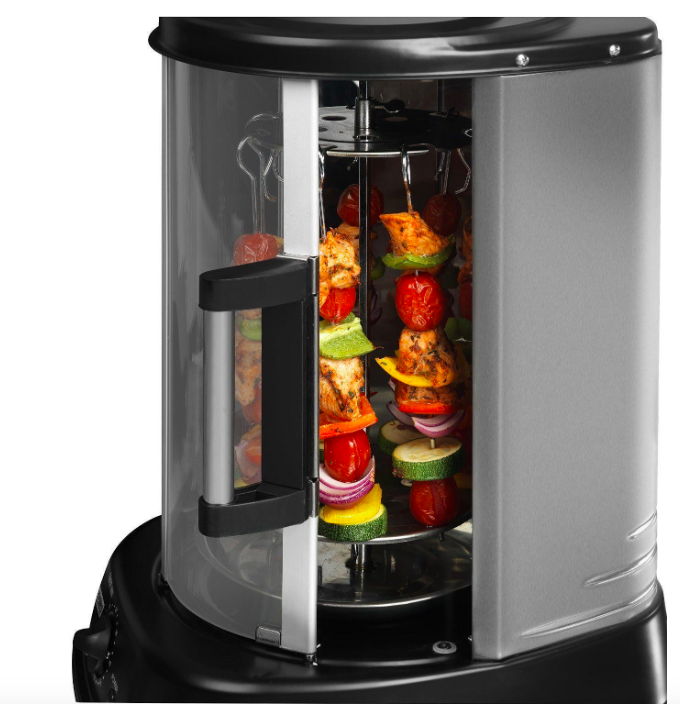 You can cook kebabs in bed now. Look at it, bow down to it, your new god; a €70 Daniel James home rotisserie from eBay. You can buy this and eat kebabs in bed. Are you buying it yet? Are you? This baby has a 4.8 star average rating on eBay. Bring the kebab shop - minus the extremely shouty order-taker man - to you. To your home. To your bed. This is all there is. This is what it was all building up to. 1500 watts. 21 litres. An infinite number of possibilities. An infinite number of possibilities as long as they are all involving some kind of kebab or other large body of meat. Most likely a chicken. I said, are you buying one yet? This is it, this is the future in the form of a rotating grill for a reasonable price. It cooks more evenly than an oven. Look at it. The fat drains away into the drip tray. Watch it. Hefty enough to cook seven kebabs at once or, and I quote, 'a large chicken'. Kneel before it. Pray. Kiss it goodnight when you're done. Bring it a coffee in the morning. You are its servant now, it is your master. It is, however, currently sold out, the home rotisserie, the kebab maker, the monolith to a new and startling age because too many people have bought it. It is sold out because people have already bought them all. But they will be back. They will be back in stock. Just like the doner meat at the front that appears and then vanishes, drawing you, a pathetic stupid moth, into its mighty unconquerable flame, some slowly rotating meat, it will reappear, and you will know what needs to be done. What has to be done. What must be done. Kebab meat and chips in bed. Kebab meat and chips in bed. 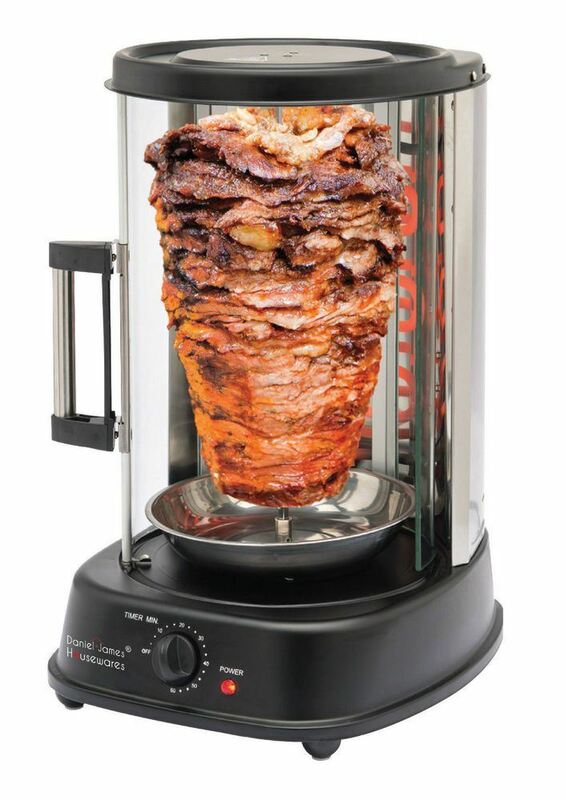 You can buy a home rotisserie from eBay for €70 and eat kebab meat and chips in bed. Who cares if the universe is empty, if we are, indeed, alone in this great black expanse we cannot understand or comprehend. Who cares if this is all there is if the this is kebab meat in bed. You can buy a home rotisserie from eBay for €70. You can reach out and touch the face of god.